In an emotional interview on The Late Show with Stephen Colbert, Joe Biden multiple times referenced expressions that he's lived by — and one of them was a moving statement that Colbert said should encourage him to run for president. Biden said his mother had an expression (and then laughed, because this was the second time he'd said this during the interview) that his son Beau, who died earlier this year at the age of 46, also lived by. My mom said, "Remember, nobody is better than you but you're better than nobody." Everyone's equal. It was just one poignant moment in a lengthy interview that ranged from Biden's grief over his son to his faith to his presidential aspirations. (He said he couldn't promise his whole heart, energy, and soul to running for president yet.) And even Colbert, talking about being Irish Catholic, painfully said, "What’s the use of being Irish if you don’t know that life is going to break your heart?" It wasn't the only expression from his mother Biden talked about. As The New York Times pointed out, at one point, it seemed like Biden might have been gathering the strength to run for president when he said that his mother's favorite expression was, "As long as you are alive, you have an obligation to strive, and you’re not dead until you see the face of God." This indicated that Biden might believe that because he's alive — and possibly because his son wished it — he should strive to be all that he can. But Biden at times seemed overcome by emotion, which is understandable given his tough position. As one Twitter user wrote, "Looking at Joe Biden I feel we're terribly selfish to ask him to run for president. Emotions are too raw. Bless him for even considering it." 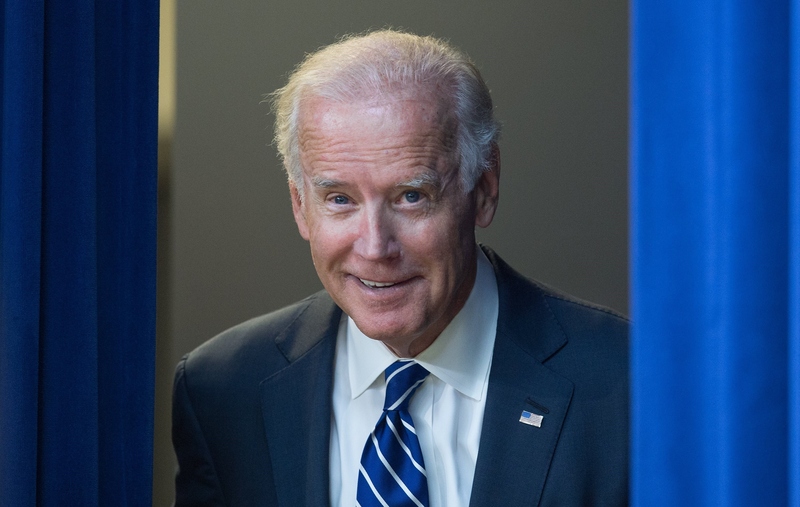 Biden has a long road ahead of him, whether or not he decides to run for president. The current VP still has a year of his term to finish out, and he still has deep-seated grief to manage, the two of which seem nearly impossible to deal with on their own, much less with the added stress of a presidential campaign. But as Colbert pointed out, there might be some who would be emotional if he didn't run, maybe indicating that nobody was better than Biden.